One thing we pride ourselves on here at Clemson Girl is making sure we keep our readers in the loop on the latest and greatest in Clemson apparel and accessories. Today we are excited to introduce you to a high fashion, renowned NYC fashion company Boy Meets Girl®. Boy Meets Girl® is an edgy yet wearable, stylish yet casually classic young contemporary brand. 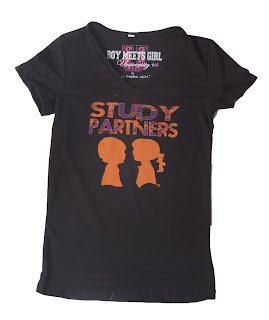 Boy Meets Girl®, is regularly featured in major publications such as InStyle, Teen Vogue, Seventeen, and US Weekly. In addition, Boy Meets Girl is celebrated on top-rated television shows including Gossip Girl, the Vampire Diaries, America's Next Top Model and various MTV programs. The company recently put on a NY Fashion Week show with a live performance by Wyclef Jean and two emerging artists, Cris Cab and Jarina De Marco. Featured right off the runway of New York Fashion Week, Stacy Igel, Founder and Creative Director of Boy Meets Girl® brings you Boy Meets Girl® University for Clemson University. The University line combines the look and feel of Boy Meets Girl® clothing with Clemson’s signature colors. The Clemson line will let you show your Tiger spirit while wearing tees and tanks featuring the brand’s iconic boy and girl silhouette. “Defining Your Style” is the theme of the Boy Meets Girl® University collection. You can dress it up or dress is down. You can wear the Boy Meets Girl® pieces and still maintain your personal style. The Boy Meets Girl® Clemson University line would make a perfect Christmas gift - for you or for the other Clemson Girl's in your life. You can buy Boy Meets Girl® Clemson apparel at Tickled Orange (soon you'll be able to purchase online) in downtown Clemson. How adorable are these tops?!? Boy Meets Girl® has generously offered to giveaway a holiday basket FILLED with their original line and their new Clemson University line apparel in sizes of your choice. Check out the prize photos below - yes, ALL of this will be in the holiday basket you will win! Deadline for entries is midnight tonight. We will draw a winner at random tomorrow, Friday, Nov. 30, and contact the winner by email. The winner has 48 hours to reply to our email or we will draw a new winner. 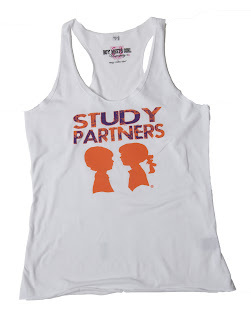 Big Clemson Girl thanks to Boy Meets Girl® for sponsoring today's amazing giveaway! We are so excited about their new University line - especially since they picked Clemson as one of their first schools! We can't wait to watch it grow!